Back in 2009 the charity consisted of a team of three and a half employees and eight trustees. 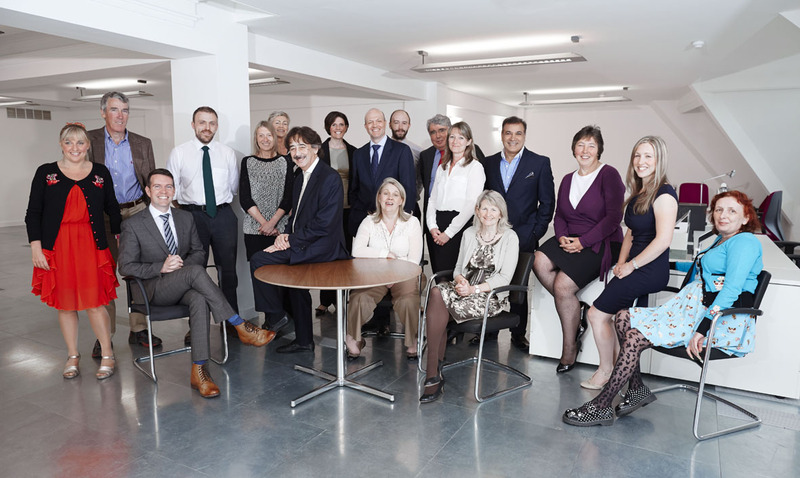 Five years on, our team now totals 19! In this time we’ve gone from fielding 200 enquiries per year to over 650, from providing 36 individuals with specialist advice in debt, benefits and employment law to over 180 and in total delivering 750 individual acts of support per annum to over 1500. Introducing your Pharmacist Support team 2014 (from left to right): Admin Assistant Jo Gahan, Trustee Prof Denis Anthony, Trustee Robbie Turner, Trustee Hamish Borno, Head of Operations Paulette Storey, Grants Officer Rowena Simm, Trustee Richard Fass, Charity Manager Diane Leicester-Hallam, Trustee Jonathan Mason, Trustee Anita Cawley, Administrator Tom Stephenson, Trustee Prof Peter Noyce, Wellbeing Project Administrator Helen Tester, Trustee Christine Gibbons, Trustee Sunil Lakhani, Trustee Sally Atkinson, Marketing Manager Kate Westbrook, Information Officer Wendy Mansfield. (NB not in shot is our Fundraiser Petra van den Houten).